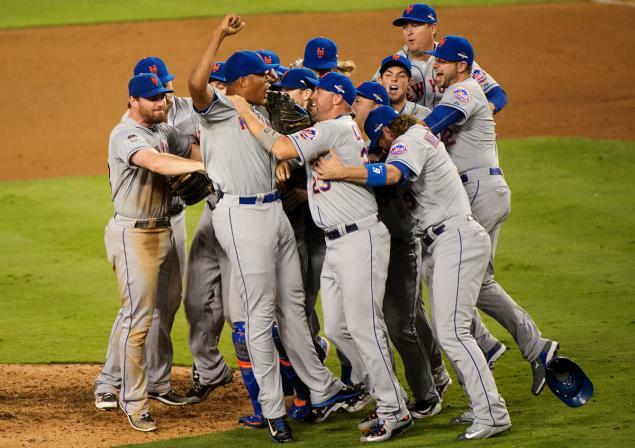 Congratulations to the 2015 New York Mets, winners of the National League Division Series. Labeled underdogs in a series in which they would have to face Clayton Kershaw and Zack Greinke twice, the New York Mets beat them once each and threw in a thirteen run blowout win, to take the National League Division Series 3-2 from the Los Angeles Dodgers. 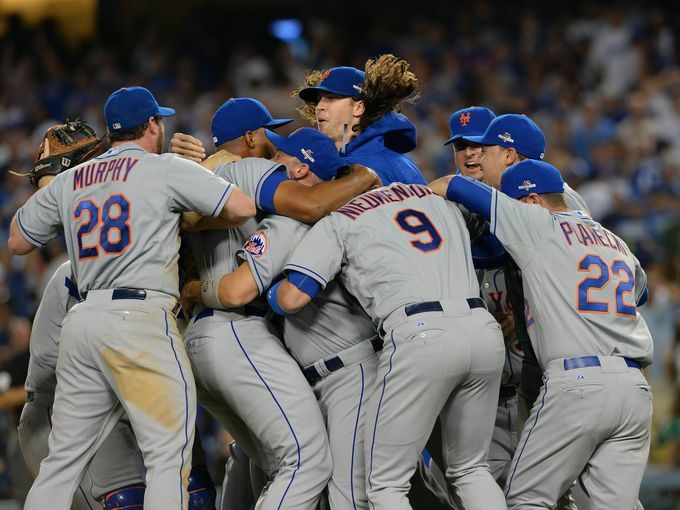 Aside from the Game Three blowout, the Mets did not do much hitting, but they marched their staff of young starting pitchers, none of whom had any playoff experience, into the postseason in 2015, and showed all of baseball that this is a staff that has the potential to be better than any their franchise has ever put on the mound. Jacob deGrom bested three-time Cy Young winner Clayton Kershaw in Game 1 and took the mound again in Game 5, with a chance to propel his team into their first NLCS in nine years. deGrom did not have his best stuff and the Dodgers jumped on him for two runs in the bottom of the first, erasing the 1-0 lead the Mets offense had provided for him in the top of the inning. But deGrom beared down, worked out of trouble for what seemed like inning after inning, and never let another Dodger cross the plate for the next five innings. deGrom left the game for a pinch hitter in the seventh, after finishing strong in the sixth and making a huge deposit of respect in the bank accounts of Mets fans. 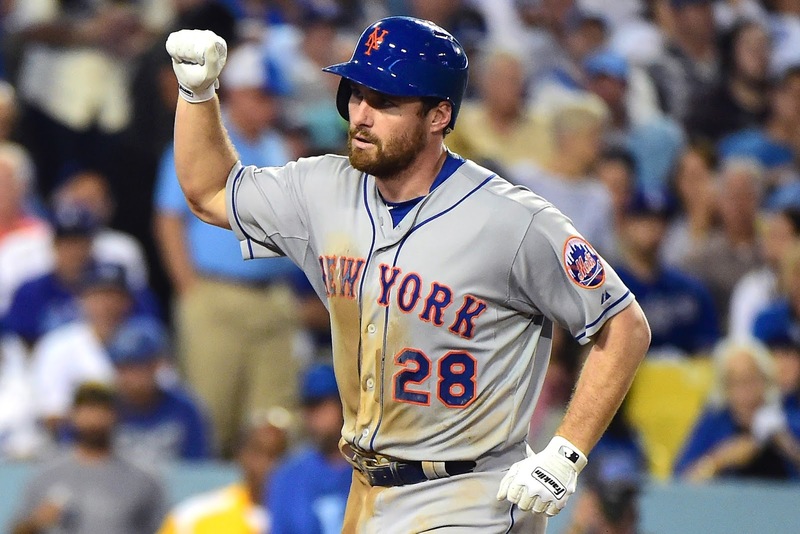 The totality of the Mets offense can be attributed to second baseman Daniel Murphy, who cemented himself in Mets history as a legend with his performance in Game 5. Murphy drove in Curtis Granderson with a double in the first, then stole third on a Dodgers brain fart when no one was covering the base after a shift on Lucas Duda, and then blasted a Zack Greinke pitch out of the park (his third HR in the series) to put the Mets ahead for good in the game. 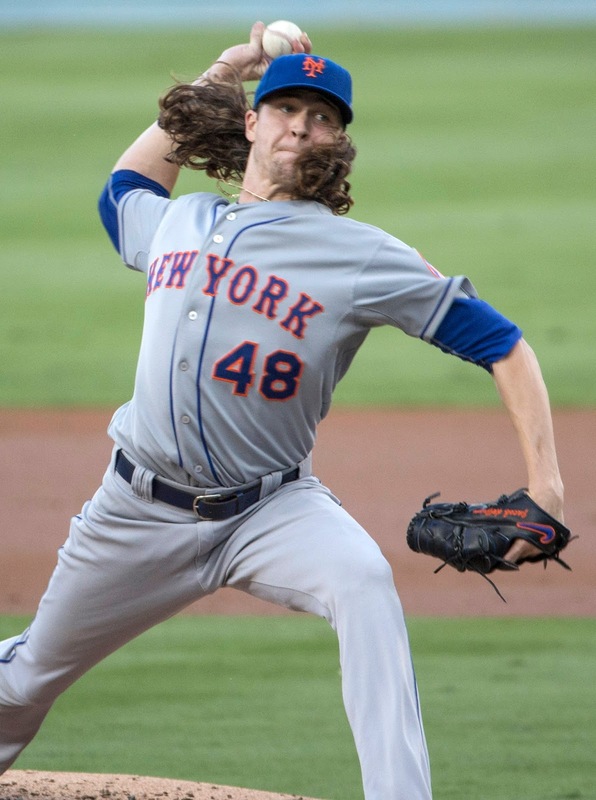 With deGrom lifted in the seventh, Mets manager Terry Collins, placed the ball in the hand of rookie Noah Syndergaard, who dominated the Dodgers in the seventh in his first ever relief appearance. In what seemed like another roll of the dice by Collins, Syndergaard was then lifted in the eighth as the Mets then turned the ball over to Jeurys Familia, trusting their closer to lock down a six-out save. 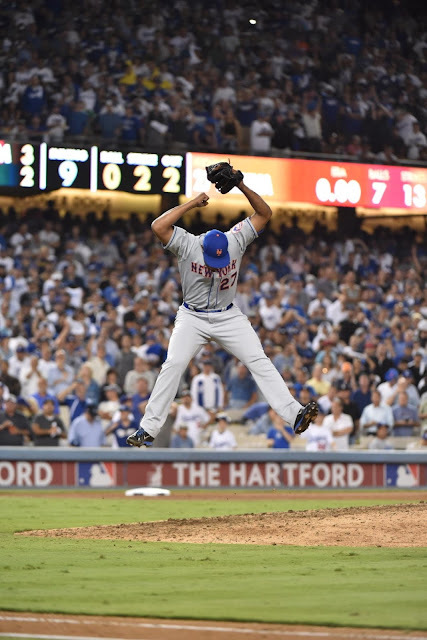 Familia confounded the Dodgers in the eight and ninth, securing the last six outs and sending the Mets into the National League Championship Series to face the Chicago Cubs. The Mets were predicted to finish no higher than third and were not expected to win this series. 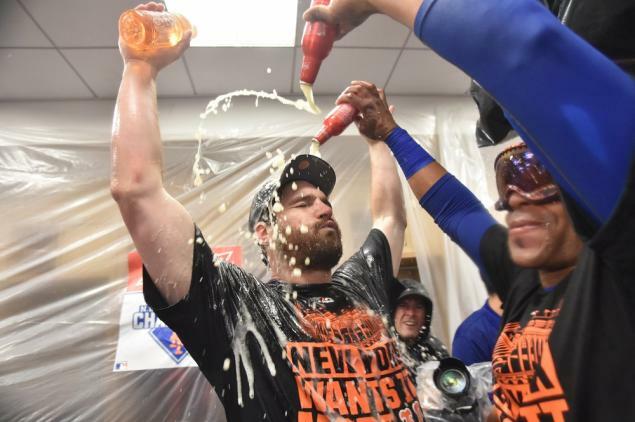 All season long, they have scratched and clawed, never given up, and with stellar pitching, timely hitting, and an enormous amount of heart, have found themselves in the NLCS. Good luck in the next round and Lets Go Mets!!!!!!! !